An expert in information technology and management, Jan Soltis Tuttle White continues to make strides in her field. She is currently parlaying decades of knowledge into her role as the medical systems manager at Beth Israel Deaconess Medical Center, which she’s held since 1990. Prior to this, Ms. White garnered experience in roles like marketing development manager for banking and investment groups, artificial intelligence market development manager, multiprocessing programs manager, and VAX product marketing manager at the Digital Equipment Corporation, and assistant to the director of information processing services at the Massachusetts Institute of Technology. She also served as a systems engineer at IBM Corporation and at Harvard University and as the program manager of “Robots and Beyond: The Age of Intelligent Machines” at the U.S. Science Museum. To prepare for her career, Ms. White earned a Bachelor of Science in mathematics from Bates College in 1965 and an MBA in marketing and operations research from Columbia University in 1967. Outside of her professional endeavors, Ms. White has been very active in her community. She is a member of organizations like the American Association of Artificial Intelligence, the Institute for Management Sciences, the Operations Research Society of America, and the Massachusetts Institute of Technology Faculty Club, and a life member of institutions like the Concord Antiquarian Museum, the Museum of Fine Arts in Boston, the Emerson Hospital Auxiliary, the Women’s Educational and Industrial Union, and the Friends of the Beth Israel Deaconess Medical Center. Notably, she was also a scorer for the U.S. Open Tennis Tournament in 1968, the co-founder of the Emerson Hospital Golf Tournament in 1978, and a marshal of the U.S. Senior Golf Tournament from 1986 to 1987, among other positions. In recognition of her hard work and dedication, Ms. White was honored on National Women’s Day in 1987 and was nominated as a White House Fellow in 1971. Other accolades include a 10th Anniversary Certificate of Appreciation from the U.S. Chapter of the VAX Systems Special Interest Group of the Digital Equipment Corporation User Society and inclusion in Who’s Who in America, Who’s Who in Science and Engineering, Who’s Who in the East, Who’s Who of American Women, and Who’s Who in the World. When Ms. White has spare time, she enjoys pursuing interests like arts, sports, horticulture, environmental preservation, and genealogy. 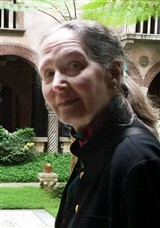 She is a member of the Connecticut Society of Genealogists and the Massachusetts Horticultural Society.